If you are looking for remount settings for diamond rings, you have many options. Today you can find a variety of ways to save your original engagement ring or incorporate it into another ring for an anniversary. Whether you want a remount setting identical to your original setting or require a new design, you can find one that works for most remount situations. Repair: Repair is the most common reason for remounting a diamond ring. Over the years, the setting and band may wear out. 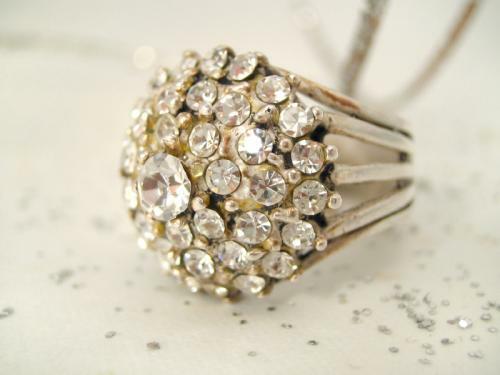 A worn setting may cause a diamond to loosen or fall out. Sometimes a prong on a setting may break. Remounting the diamond can save the original ring. Preservation: People sometimes take a vintage or antique ring into a jeweler for adjustments and cleaning. In order to preserve the ring, a diamond remount may be necessary. Merging two rings: Some people like to merge a family heirloom, such as a mother's engagement ring, with another diamond ring to create an original piece of jewelry. Update a design: A number of people want to update the look of their engagement ring or preserve their original diamond in a new ring design. Prong setting: Classic prong settings are one of the most popular mountings for engagement rings. 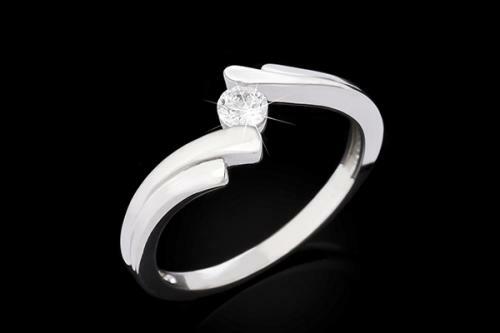 Individual metal claws or prongs extend from the ring base and hold the diamond in place. 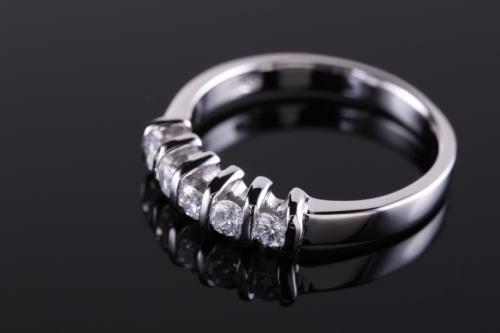 This setting is often requested in a ring remounting or repair because prongs may loosen or break over time. 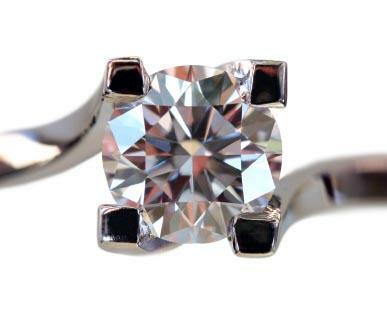 Bar setting: A bar setting holds a diamond in place with elongated bars rather than the individual prongs. 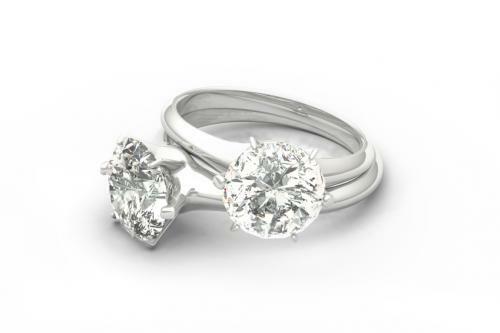 Invisible setting: The popular modern invisible settings show off diamonds without visible prongs or bars. A metal cup, attached to the band, holds the diamond in place without any metal obscuring the face of the diamond. Bezel setting: A bezel setting is a metal band that wraps around a diamond to hold it in place. 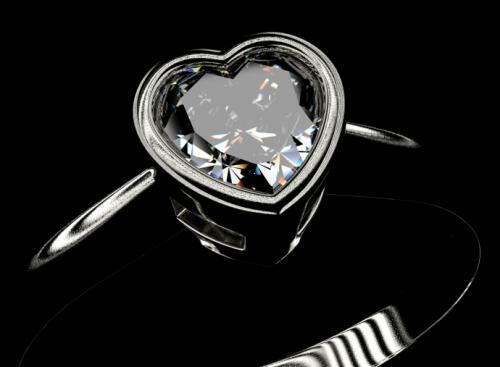 Bezel mountings can make a diamond look larger. Channel setting: Many anniversary rings that feature multiple gemstones such as eternity rings involve channel settings. 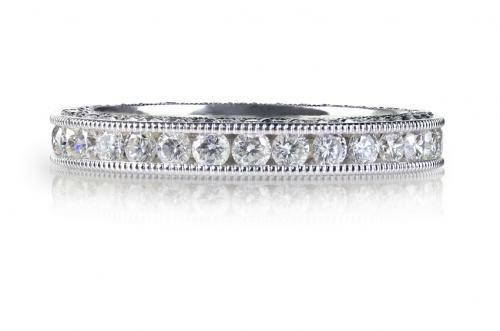 Diamonds are inserted in a channel in the ring band that holds the gemstones in place. 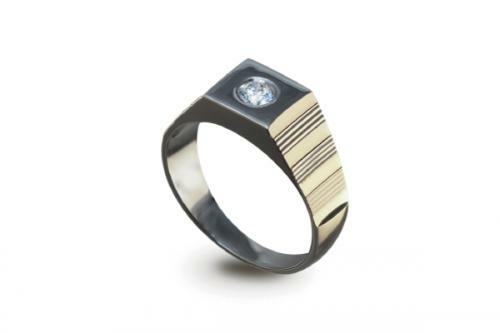 The channel setting gives the appearance of gemstones impeded in the band. Channel settings are a good option for remount ring projects that involved multiple diamonds or gemstones. Flush setting: In a flush setting, the diamond rests in a hole that blends in with the rest of the band. This mounting resembles a bezel setting but without any metal wrapping around the face of the diamond. Cluster setting: Cluster settings allow multiple diamonds or gemstones to be set in a specific design such a heart or grapes. When you need to remount an antique ring, be sure to take it to a jeweler who specializes in antique jewelry restoration. Finding an experienced jeweler is your best chance of restoring a fragile ring back to its original condition. Discuss all options for remounting an antique diamond and band. If you do not plan on wearing the ring and simply want to display it as a part of an antique collection, you may not want to change much of the original setting or band. However, if you plan to wear the antique ring, you want the ring to be durable, which may require remounting and possibly additional replacements. The shape, size and condition of your diamond will determine the best mounting for your ring during remounting. In most cases, you can have a diamond remounted in the same style as the original setting. In some cases, you may be able to change the mounting when adding additional gemstones. For example, you can easily substitute a bar setting for a prong mounting. Consult with your jeweler on the best options for your ring. The Internet has many helpful resources on remount settings for diamond rings. You can even select diamond ring settings online. However, you may want to work with a local jeweler to view the setting possibilities and manage the process closely. Jewelry Secrets: The Jewelry Secrets sites offers advice on selecting settings and going to remounting shows. Gemstone Guru: This site offers other points to consider while you're having your gem remounted. When you decide to remount your diamond ring, carefully research all the options and find a reputable jeweler with demonstrated experience in remounting your ring style. Remounting an engagement or anniversary ring can help you preserve a special ring. Talk with your jeweler to find out the best setting options for your ring.